(0 Customer Reviews) | Write Review 12 issues per year Period Living is Britain’s best-selling period homes magazine, and each month is packed full of inspiring imagery of interiors and gardens along with decorating and shopping ideas, antiques and vintage, and advice on maintaining and improving a traditional home. 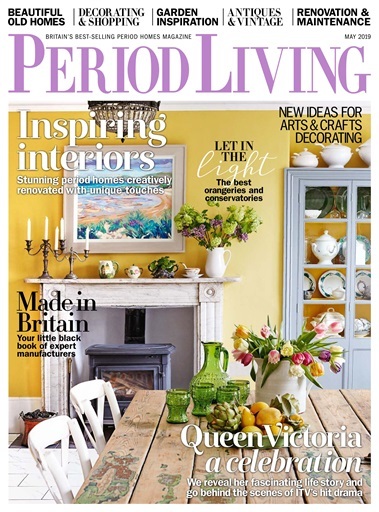 If you appreciate the timeless qualities and classic style that a period home offers, but want to make it work for modern life, Period Living is the magazine for you. In this issue.. We round up the latest interiors offerings, news and exhibitions. Patterned tiles, Add an ornate touch with these Victorian-inspired designs..
Period Living is Britain’s best-selling period homes magazine, and each month is packed full of inspiring imagery of interiors and gardens along with decorating and shopping ideas, antiques and vintage, and advice on maintaining and improving a traditional home. 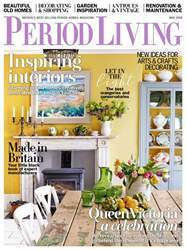 If you appreciate the timeless qualities and classic style that a period home offers, but want to make it work for modern life, Period Living is the magazine for you. You'll receive 12 issues during a 1 year Period Living Magazine magazine subscription. You'll receive 12 issues during a 1 year Period Living Magazine magazine print subscription.